Advance Tabco SL-DB-18 Stainless Steel Double Step Blender Station - 18" x 23"
Prepare frozen and specialty drinks with remarkable ease with the Advance Tabco SL-DB-18 stainless steel double step blender station. 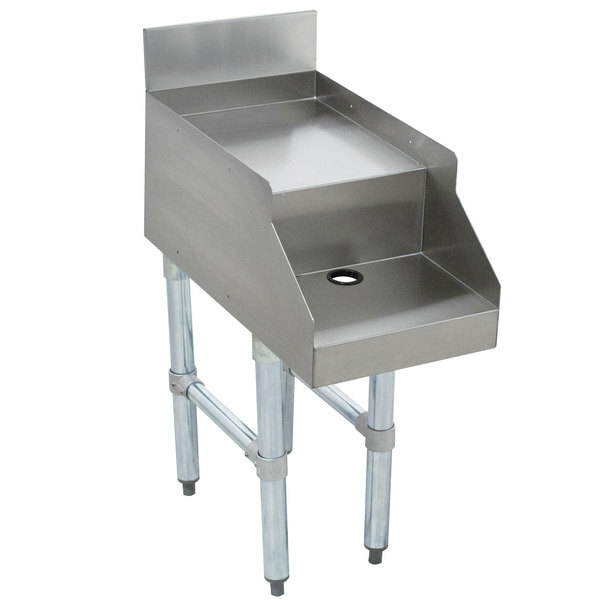 Designed for high volume mixing areas, this unit features two separate stations to expedite the preparation process and get drinks into customers' hands quicker. A 4" backsplash works to protect nearby walls and floors. For added convenience, a 15A/120V electrical duplex outlet is hidden beneath the shelf. Sleek in structure and practical in design, the Advance Tabco SL-DB-18 blender station is perfect for your commercial bar or restaurant.